If you want to reduce your dependency on the commercial food supply, you better start now. Establishing crops, building infrastructure, raising animals, and working out the kinks takes time, and you may have a few less successful years before you can really eat off the grid. So let’s look at 9 awesome food projects that will help make you 100 percent self-sufficient! 1. Beans. Beans are a nutritional staple for the homesteading family. Prepare the soil early, and plan on 2-3 months of growing before harvest. 2. Poultry. If starting with chicks, expect 2-3 years of successful rearing, selection, brooding and culling before you will have your flock established. In the meantime, you will collect eggs and eat the birds you choose not to keep. I would start with 10-12 chicks and add more later on if you so desire. 4. Corn. This is one of the best crops to have. It takes a lot of work to get it up and running and corn needs a lot of nutrition from the soil so be prepared to have to work at it. In fact some say it takes about two years of crops before you finally get the hang of growing. 5. Wheat This crop is easy to grow but harder to harvest. After about two months of hot weather it is ready When planning to start wheat, figure in threshing and grinding time. 6. Winter Squash. Grow winter squash to supply your family with important vitamins and to provide you with an easy keeper crop. Winter squash takes up to four months to mature, but you should be able to get a good yield in your first year with appropriate pest management and watering. 7. Apples. Although apples can be extremely useful, you need to plan on 6-10 years with your trees before they will bear fruit. Your patience will pay off, however, and planting apple trees is well worth the wait. 8. Potatoes. 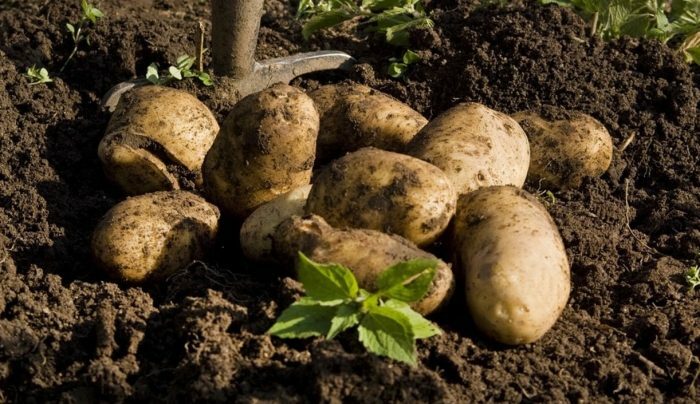 Potatoes are easy to start, and you can expect a good yield in your first year of growing them. Short-season varieties will grow in as little as two months, but longer-season varieties can take three months or more. 9. Honey. While not strictly necessary, honey is a fantastic sweetener on the homestead and comes with lots of nutritional benefit. However, bees take a while to get production ramped up. Your first-year harvest will be very small, but in the second year you can harvest up to 30 pounds of surplus honey from one hive (leaving the bees something to eat over the winter). By starting on these projects you are on your way to being 100 percent fully self- sustainable! Have you already started on some of these? Any tips for those just starting out? Let us know on Facebook or on the comments below! I'd love to start beekeeping! We've grown all of the other, except wheat and rabbits. I forget about bunnies for food. And fur. I'd love to try a few turkeys, but I can't talk hubby into that one! Corn, beans, and squash are known in Native cultures as the 'three sisters.' As the corn would grow tall, the beans and even the squash vines were encouraged to grow up the stalk. It produces a lot on minimal ground. It is a fUN thing to try with kids, and they learn something in the process. Beekeeping, JG? That sounds interesting. Don't think I would want to be stung though. Growing up in my pop pops blueberry fields, he had bees in boxes for pollinating the blueberry bushes. Watching my pop pop deal with the bees didn't seem like it was a whole lot of trouble. I'd love to try bees! I wish Herb would want to try also!